Traditional recruitment methods have been replaced by the emergent online recruitment with the entry of internet. Much small scale to large scale organizations have been adapting online recruitment process to hire the potential candidates for the job requirements they have. Online recruitment has its own of advantages and limitations. Skill gap is the major issue which is faced by today's recruiters. There is a need to bridge the gap with skill development through rigorous practice and skill assessment tool. E-university is built by wisdom jobs to fill the skill gap and offer job seekers e-learning on 6000 skills which promote skill development and job interview preparation. Social media platform also playing key role in today's online recruitment industry. Social media top players like facebook, twitter, LinkedIn and other key sites are playing an important role in recruiting top candidates. Companies are using social media as a great platform to promote their brands and find top talent. Social media offers transparency, diversity of a candidate. Recent survey by NAASCOM reveals that 50% of the hiring managers are relying on social media for recruiting IT roles. 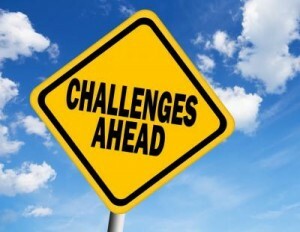 Issues and challenges: Recruiters not able to find the desired candidates matching with the job requirement they have. Responses which getting through job portals are not genuine Conversion of the candidate is big challenge as the candidate exhibit his/her wish as open and attend multiple interviews at the same time. It is bit difficult to reach the candidates who are really looking for job and it is also known fact that all registered candidates might not be looking or job. Another issues is that candidates who are seriously looking for job also not updating their profiles frequently on job portals. The job applicant has been approached by multiple recruiters from different consultancies which are also a major problem in attracting candidates. Unavailability of right skills available at right time which causes delay in recruitment process. Time loss due to fake qualifications and skills listed by the candidate A recent survey reveals that recruiters finding fake resumes with low skill rate and experience level.